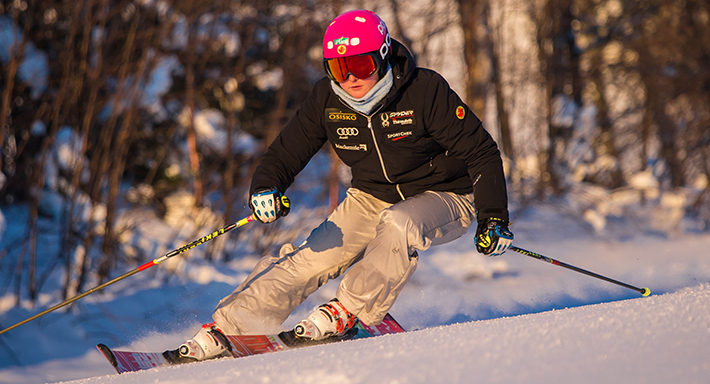 Valérie Grenier’s first season with the Canadian Alpine Ski Team has come to an end. 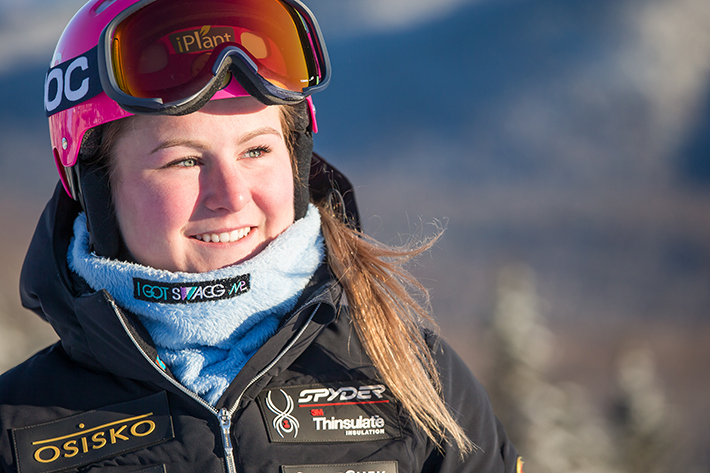 This Tremblant Athlete-Ambassador has evolved on our slopes alongside some of her idols like Erik Guay and we wanted to share some of the highlights of her exciting season. Valérie’s season started on a high note with a 16th place at the Lake Louise World Cup Super G race. The following races, including a few DNFs (did not finish) in two GS World Cup races were a bit of a disappointment for the young athlete. How did she manage to keep her spirits up after some tougher results? Perseverance did in fact pay off since she climbed on the first step of the podium as Downhill Champion of the World Junior Championships in Sochi. She also got a silver medal in Super G at the same event where the best junior racers on the planet merged to compete. “These results really helped me build my confidence”, she said. She then came back to race in North America, for the Nor-Am Cup finals in Colorado, where she got 2nd place at two downhill races, won one of the GS races and finished 2nd in slalom. These results placed her 2nd both in the downhill and overall standing for the Nor-Am circuit. “When I think of my results this season, I realize now that ups and downs within a season are only normal and that it cannot be your best day every day. I believe that in the middle of the season, we must have confidence in our technical abilities and not try to change anything at that point. I was telling myself that I was good enough to succeed. I simply had to believe that I could do it at the start of every run”. Being on the road all winter long has its downsides, but with experience, Valérie is starting to get used to it. When she travels, she likes to read, spend time with her team mates and go walk and discover ski towns where they are lodging. These activities allow her to get away from the stress of competing, especially when results are not as good as expected. What awaits the Canadian Dowhill Champion in the upcoming months? Congratulations to Valérie for a great 2015-16 season and see you on the slopes next year!